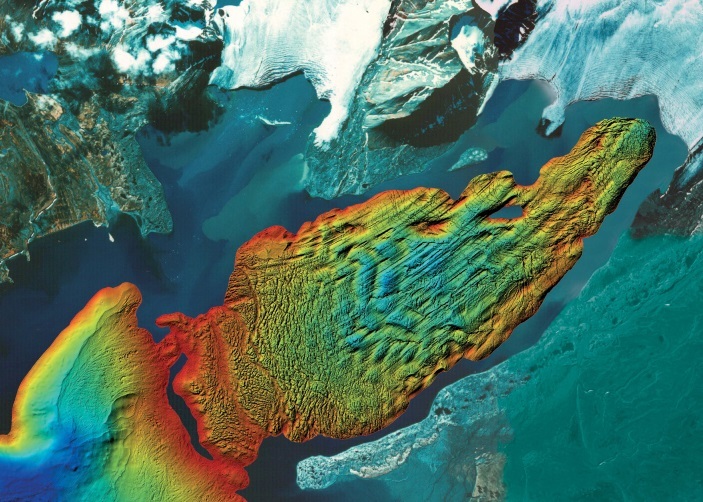 The Atlas of Submarine Glacial Landforms presents a comprehensive series of contributions by leading researchers from many countries that describe, discuss and illustrate landforms on the high latitude, glacier-influenced seafloor. 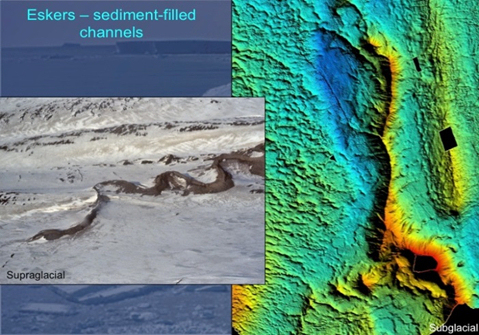 Included are submarine glacial landforms from modern, Quaternary and ancient glacimarine environments. The development of high-resolution imaging technologies has allowed detailed sea-floor mapping at water depths of tens to thousands of metres across continental margins and 3-D seismic imagery enables buried landforms to be identified. 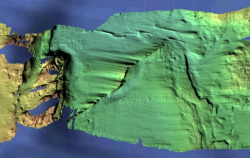 The Atlas contains an extensive methods section detailing the techniques used to image and understand the seafloor. 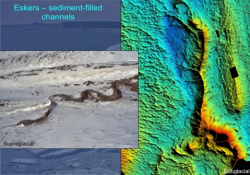 The 183 contributions are organised by: a) individual landforms in 2-page contributions, b) assemblages of landforms in 4-page chapters, and c) whole fjord-shelf-slope systems in 8-page contributions. The 618-page Atlas is published online in the Lyell Collection by the Geological Society of London as Memoir 46 and also as a hardback volume using the highest quality paper and colour figures. The large page size, 310 mm x 230 mm, enables the landforms to be illustrated to maximum effect. The full reference to the memoir is: Dowdeswell, J. A., Canals, M., Jakobsson, M., Todd, B. J., Dowdeswell, E. K., & Hogan, K. A., (eds) 2016. 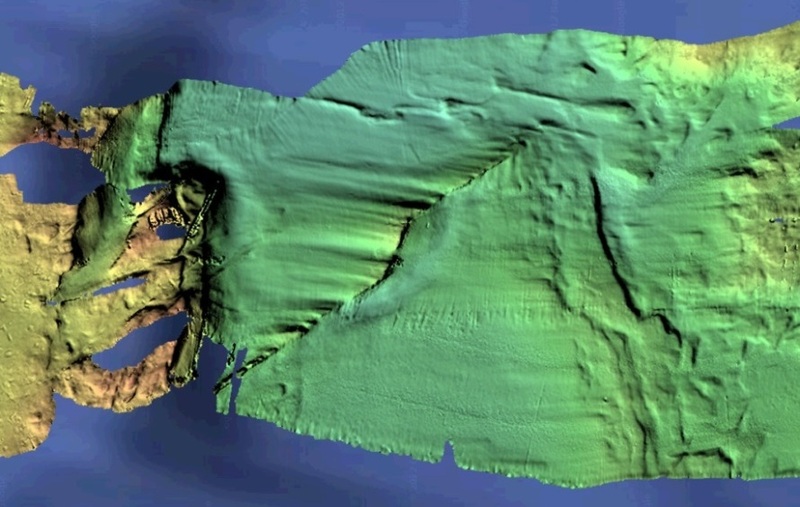 Atlas of Submarine Glacial landforms: Modern, Quaternary and Ancient. Geological Society, London, Memoirs, 46, http://doi.org/10.1144/M46.